Go to "Audio Tools" > "Playback" > "Editing" section. In the "Trim Audio" dialog, use the green and red slider to trim your audio. Alternatively you can adjust your settings via the "Start Time" and "End time" Field. Published by deri58. Latest update on December 20, 2012 at 10:17 AM by deri58. 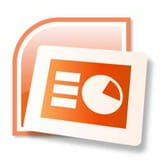 This document, titled "Powerpoint - Trim your embedded audio tracks," is available under the Creative Commons license. Any copy, reuse, or modification of the content should be sufficiently credited to CCM (https://ccm.net/).